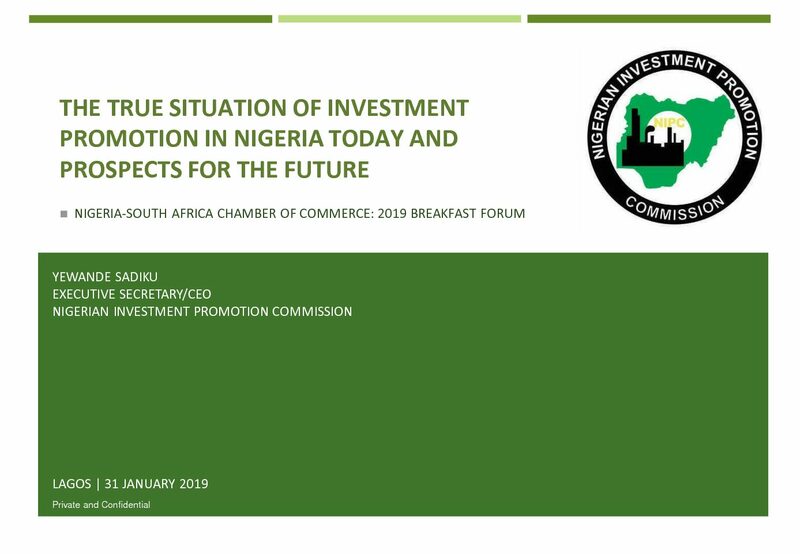 Presentation at NSACC Breakfast, 31st January, 2019. Investment Incentives in Nigeria, 16th July, 2018. Encouraging, Promoting and Coordinating Investments in Nigeria, 25th January, 2018. 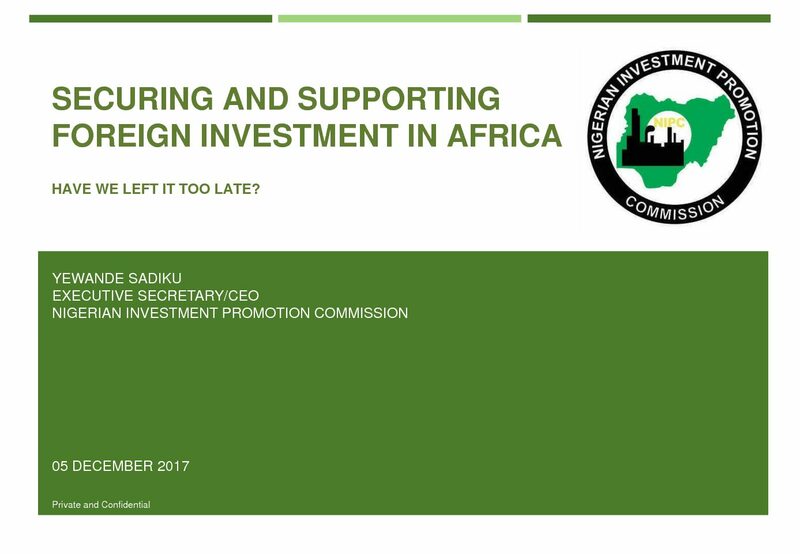 Securing and Supporting Foreign Investment in Africa, 5th December, 2017. Improving the Business Environment, 6th June, 2017.